Basement Finishing - Customer Reviews | The Basic Basement Co.
From Our Basement Finishing Customers…. We approach each basement finishing project with the goal of providing each customer with a satisfying and stress-free experience, from start to finish. Our team of basement design-build experts work closely with you through each step of your basement finishing project, providing design considerations, a project plan, project updates, and the scheduling of inspections. jobsite immaculate every day. The scheduling was flawless and the project manager was available to answer all my questions. The Basic Basement Co. was a pleasure to work with. They were very upfront and clear on pricing as opposed to some other contractors I interviewed. Most others gave me a huge range, best guess, or worse – they asked me what I wanted to spend. The Basic Basement Co. gave me detailed pricing on the first meeting and I hired them on the spot. The work performed was just as good. They were prompt, clean and fast. They took care of all the paperwork with the township, completed the work exactly as they said they would, and finished on time. I already recommended them to neighbors and will continue to recommend them. The estimator was very knowledgeable of all town codes. We reviewed the entire project on the first day and he explained items of concern. He was able to provide an accurate cost of finishing my basement the same day as the initial estimate. I was assigned a project manager that made sure the job was done as expected. The basement project was completed on time, and the installation team paid attention to every detail. Drop cloths were placed throughout the house to protect my floors. They cleaned up after each step of project was completed, and took away all trash. They took the worry out of everything. They scheduled the town inspectors, making sure that all codes were adhered to, and submitted drawings and required paperwork for my basement project. I was really impressed when the town inspector commented on the workmanship. He knew right away it the contractor was The Basic Basement Co. All materials used for the project were high quality, and they never cut corners. I want to say thanks to everyone at The Basic Basement Co. for the great job they did and I would recommend them. suggestions. The Quote was broken down and explained in detail. Every nut and screw planned was accounted for. The workers were all great. Each crew that came out on their scheduled day were extremely professional, hard working, polite and punctual. The work was done on schedule or before, and the work product was exceptional. The workers went above and beyond to help make my basement more than what I expected. Working with the office manager and project managers was a pleasure. They handled all questions and helped with all inspection planning. They were often a step ahead of any question that I had. I recommend The Basic Basement Co. for any and all of your basement finishing needs. I am completely satisfied with my new space and want to thank each and every person involved for the work they put into finishing my basement. At the beginning of the project, the project manager met with me – he was very thorough, and reviewed all work that was to be done. The office manager always kept in touch with me. The workers were on time everyday, did a great job, and always cleaned up at the end of the day. I highly recommend hiring The Basic Basement Co. for basement remodeling. Thank you, The Basic Basement Co., for the excellent work!!! You all were great, and the ease of getting work done, as well as the workmanship, exceeded our expectations. Look forward to doing business in the future. available to answer questions. The project manager and crew were polite and went the extra mile. The basement turned out great, and we could not be happier. We highly recommend. to stay within our budget and make modifications without us feeling like we were missing out on important details. We highly recommend them to anyone looking to have work done. The project began with a complementary consultation. The representative talked to us about our vision, took measurements, provided suggestions, and proceeded to show us the preliminary costs. He walked us through the timeline and was completely transparent with items or additions that may add to the bottom line. He suggested we think things over and reach out to him when we made our decision. It was this no pressure, transparent approach that led us to agree to move forward. Once we signed on, we were immediately assigned a project coordinator that kept us abreast of upcoming work, permit responsibilities or anything else necessary for the project to continue on time. She never failed to make us aware of any scheduling conflicts or project hurdles (very few to mention) and was quick to come up with solutions…she was superb!! Our project manager was hands on at the beginning and end of each stage of the project including; framing, sheetrock, egress installation, electrical, and more. He walked us through the work and made sure it was finished properly at the end. The workers were clean, courteous, and experts at their crafts. The work was completed on time, within budget, and exceeded our expectations. We want to thank the entire team at The Basic Basement Co. for giving us this new space that our family will enjoy for years, and we would recommend them to anyone!!! Thank you & your crew for the wonderful work on our basement. It is beautiful, and we will enjoy it very much for a long time to come. I would highly recommend The Basic Basement Co. The level of customer service is the highest that I have experienced. My project began with an initial phone call to The Basic Basement Co. to schedule an estimate. The estimator came to my home the following day, and was very informative and provided numerous suggestions for my project. I signed my contract that night (after receiving numerous estimates from other remodeling companies) as I felt confident in the price and that I would be working with a terrific company. The permit packet was completed for me and the transformation of my unfinished basement was underway. Once the permits were approved by the township, the production manager scheduled the framing and I was introduced to my project manager (tremendous as well). The framers were so nice and polite, not to mention hard working! They were able to finish framing the entire basement in two days! After the framing was complete, the plumbers came in to do the initial work for my bathroom. They were extremely nice and hard working as well. The electrician was able to wire the entire basement in one day! He arrived early and stayed well past what I thought was “quitting time” for the day. The spackle and tape crew along with sheetrock crew were amazing. The bathroom tile work came out amazing! In summary, The Basic Basement Co. did a fantastic job. I couldn’t be happier with the work that they did. I was treated with great respect, the communication could not have been any better, any questions or concerns that I had were answered/addressed immediately. The crews were extremely polite and very hard working and garbage was cleaned up neatly and left outside of my garage for immediate pick up. I would give The Basic Basement Co. an A++++++ if that were possible. I am very happy with my basement project. I really appreciate the way you guys handled the project from start to completion. Everything went smooth. I would like to thank all of your associates for their efforts in completing this project. Just wanted to confirm that the framing is done. And, if you could kindly let their manager know how incredible they were, I’d greatly appreciate it. They couldn’t have done a better job, been more courteous, or left things any cleaner. What a positive reflection they are on your company! We are super-happy with the work you did in our basement. Thanks again for all your work. You always made us feel at ease and made the process super-easy. From day one, you listened to our requirements and complied with all of our requests, basically building exactly what we wanted. All of the individuals who came to our door were very professional, friendly, and delivered quality work. We are very happy with the quality of the end product and will be recommending you to anyone else who wants their basement finished. I just wanted to take the time to give your customer service team at The Basic Basement Co. a thumbs-up. I made contact via the website and got a call back that same day. They were super professional, friendly, and informed. They even moved some things around and arranged for a representative to visit my home that evening for a consultation/estimate. The Building Inspector gave his approval. He inspected both the framing and the insulation/fire-proofing. And, the inspector said, “Wow, these guys know what they’re doing!”. He said that all the usual areas that he routinely fails in basements were done properly. they took care of all the permits (building, fire, and electrical), came early each day, and cleaned up nicely when they finished the project. We now have a well built basement. The project manager did a great job managing the project and the production manager always answered the phone or got right back to me – even on her day off – if I had questions. Everything went great. This is literally the first time I have ever written a review about anything, but felt compelled to do so since the experience was so good. The Basic Basement Co. came highly recommended to us and they did not let us down. The project coordinator was organized, responsive, knowledgeable, and helpful throughout the entire process. Every team that came to our house was professional and courteous. Overall, it was a great experience. price was reasonable. All workers showed up when they were scheduled and the work was completed quickly and beautifully. Changes and add-ons along the way were handled with ease. With all the troubles people encounter with contractors, it’s nice to find one that was reliable and dependable. We are glad that we choose your company and Overall we are very happy on the planning, execution, and outcome of this project. This shows that you are simply experts in this area and we already recommended you to a couple of our friends. Please convey our thanks to the entire team for all the help. I will have many opportunities for friends to see your company’s work and will definitely recommend The Basic Basement Co. for your seamless follow-through, quality work, and your quick attention to our concerns. You have gone the extra mile on all aspects. I just wanted to mention that I couldn’t have been more pleased with how the whole process went. From the estimate, to getting through the municipal red tape, to the quality of the finished basement, you guys were beyond fantastic. Just wanted to thank you for the great job the team did in transforming our basement from a storage space into a beautiful living area. A special thanks for guiding us through the process with so much patience. Please feel free to list us as a reference. Take care! We had a full, unfinished basement until we called The Basic Basement Co. They consulted with us and listened to our plans. Their professional guidance through the planning and design phase led us to a stress free experience. We were extremely pleased with the entire project from start to finish. The quality of materials, work, timeframe for completion, expertise, and professionalism of staff were all exemplary. Communication with our project coordinator was right on. When we had questions during the project, they immediately responded back with answers. The scheduling of carpenters, painters, electricians, plumbers, and township inspections was completed efficiently and all work was done within the timeframe originally agree upon. We highly recommend The Basic Basement Co. for your home remodeling projects. This was seriously the easiest construction project I’ve ever done. I’ve done a bunch of construction and remodeling projects on my house and this was, hands down, a great experience. I will be sure to brag and recommend you guys! Thank you. I have to say your level of organization and communication contradicts every stereotype of contractors I’ve ever heard of. We appreciate it. Thank you so much for your help throughout the process. You have been fantastic and it was truly a pleasure working with you. We were more than satisfied with the entire experience and find all the folks professional and very responsive. Much appreciated. I’d like to take a moment to sincerely thank you for the great work and customer focus when completing our basement. All of you were very professional and responsive – this certainly goes a long way. Thank you! Normally when you decide to do a bigger project in your home it comes with stress and moments of frustration, but we experienced none of this working with your company. I cannot tell you how much I appreciate all that you did behind the scenes to make sure this project went seamlessly. I have already started recommending The Basic Basement Co. to our friends in town who have been contemplating finishing their basements as well. I am very pleased with how the project worked out and would like to thank the consultant for his suggestions on the design. I was also very pleased with the workmanship of the different crews, and in particular with the work of the sheet rock installers and finishing team. Overall, your company did an excellent job. As a retired engineering and construction executive involved in large energy projects, I appreciate how well the overall execution of the work went, and in particular, with your effort in keeping the project on track. I have to say my that husband and I were so impressed by the quality and speediness of the work, I swear if they were not held back by permits (which are needed) for every step performed, they would’ve been done with a 1,500 square foot basement in 4 days maximum. The project from start to finish took three weeks. We had to paint and add carpet, but it was beautiful in the end. We are very happy to see the finished basement. It looks wonderful with the closets, new office, full bathroom with shower and marble tiles, and entertainment space. And, the green paint on walls with cortec vinyl tile flooring gives a rich look! Thanks again for your timely coordination and ensuring a clean job site after every task. Normally, I am a skeptic when it comes to contractors. Many never return calls or show-up, or provide outrageous quotes which can be discouraging in getting work you want done. However, the team at The Basic Basement Co. changed my view. Outstanding and professional does not even begin to describe the attentiveness that The Basic Basement Co. provided during our basement finishing project. Each crew came as scheduled, performed tasks as agreed to in our contract, and cleaned-up after each job, including hauling away garbage. The overall project cost what we agreed to in the contract. There were no hidden or extra costs. In addition, the different crews came back on a couple of occasions to repair some minor imperfections we found. All of the workers were a pleasure to deal with. My family and I have survived several home renovations over the years; this one was by far the most organized and smoothest! We will definitely consider this company high on our list when we look to renovate our kitchen and bathroom. The Basic Basement Co. finished my basement – I couldn’t have asked for a more professional team. The communication was excellent throughout the entire process. The installers were all nice, showed up on time, and did great work. I have zero complaints about them. If you are looking to have your basement finished, I recommend using them. The Basic Basement Co.’s staff was great during the whole process. They execute their jobs with such sincerity and kindness towards their clients – they made this a wonderful experience for us. Thanks for everything and I really appreciate the smooth process this has been. I have already recommended you guys to a number of friends that were thinking of getting their basement finished. We really enjoyed working with you guys, and we would definitely recommend The Basic Basement Co.
We’re so excited to play and hang out in our new basement! The Basic Basement Co. did an excellent job, and I must commend them for their professional services. I was an engineering student many years ago, therefore, I can appreciate excellent construction work. Congratulations to your team of professional and diligent workers. Keep up the good work. The Basic Basement Co. estimated the project in a very professional manner, clearly explaining options, describing how the project would appear upon completion, preparing a detailed list of materials needed, and reviewing requirements for electrical, framing, and plumbing. Additionally, there was no pressure on us to accept their estimate. Execution of work was fantastic! The production manager kept the project running smoothly, planning each phase and ensuring crews completed each phase on time. I haven’t seen another contractor who was as organized. The production manager did a great job showing that The Basic Basement Co. knows what they are doing, and took time to respond to our questions in a timely manner. All materials were ordered and delivered on-time – the coordination of activities was flawless. The project manager oversaw all work to ensure it was done correctly and to expectations. The crews were very experienced and there weren’t any major issues to resolve. All township inspections passed on first visits. The crews were always on schedule, as well as punctual each day. The quality was flawless. The crews were courteous at all times and the work area was left clean every day. We strongly recommend The Basic Basement Co. for their professionalism, courtesy, organization, quality of work, and commitment. They did an excellent Job and they make customers proud for hiring them! We cannot thank you enough for all of the work you have done for us. We really are beyond thrilled with your company and everyone we have met along the way….your hard work, constant communication, and reassurance made the entire process super-easy for us. I just wanted to thank you for all of your assistance in getting the basement job done. It was a smooth process and I am really impressed with your company. The work was excellent and it came out better than I ever imagined. I would certainly recommend your company to anyone interested in doing this type of project. Thanks again for your professional follow up and sincere interest in the project! Lindsay and I wanted to say thank you for all of the great work on our basement. We are so impressed by the work ethic of each person involved in the process and their professionalism. Everyone worked so hard, and the sheet rock installers raised the bar to a new level. Everything looks great and we appreciate how organized the process was and the continuous communication. Thanks to everyone at The Basic Basement Co. for the work completed in our home in Marlton, New Jersey. The process was easy and efficient, and the outcome was excellent. The entire staff was pleasant and helpful. We will be writing a nice review for Angie’s List, but wanted to acknowledge the work completed and express our appreciation. We could not have asked for better communication and project management. The staff seemed to care about the job they did, and that is rare in my experience. My sincere thanks to all who made this the least stressful construction project I have been part of. It was a pleasure working with your company. You were always there to answer any questions we had and ensure all materials were available to complete the project. Thank you for going over all the details when we were looking for a company to redo our bathroom, taking all the debris away, and doing such a wonderful job putting in our new tub, vanity, toilet, and especially the stone and tile. The installers were experts and we want them back on any future jobs we have with your company. Thanks again for all the time you put in on this project and ensuring that every detail was perfect! I just wanted to share my experience with you. It was a real pleasure to work with your company. I give the team 5 Stars for customer service, promptness, and professionalism. I would like to thank the entire team at The Basic Basement Co. for a superb job on refinishing our basement. From the start, the team clearly defined their roles and remained in close contact with me regarding all logistics and construction schedules. From framework, to electrical, to dry wall, to final trim – the workmanship was of exceptional quality and within budget. Thanks again for making this a very efficient and satisfying experience. You have a great staff and ran the project very efficiently. You always hear nightmare stories about people having work done like this, but your company made this a great experience. You can add us to your reference list, and if we need additional work done, you will be the first to know! It was a pleasure working with you and your staff. You are very organized and professional, and made my basement finishing project a painless experience. I was very impressed with everything, and I will definitely keep you in mind for future work. I also have several neighbors that are interested in finishing their basement, and I will recommend your company. Before starting the project, I requested quotes from other service providers, but The Basic Basement Co.’s price was the most competitive and included more options in their proposal. They understood our needs and designed the basement accordingly, providing a quality service within our budget. The project was completed on time and I am already enjoying my finished basement, thanks to The Basic Basement Co.! We are very happy with our newly finished basement! The Basic Basement Co. started the project as scheduled and always showed up on time. I was comfortable with every worker who came into my home – all were very polite and professional. They have crews for each phase of construction, and all worked with precision and efficiency – you can see they all know their trades very well. There were no surprise charges – they did exactly what they said they would and they were the most reasonably priced service out of all estimates we received. They were able to schedule inspections faster than I thought, and were ready to start the next phase of the project as soon as an inspection was complete. Town inspectors even complimented their work during my final inspection! Overall, my entire basement was completed in about a month, and this was over the holidays as well! I would gladly recommend The Basic Basement Co. to any of my friends! The Basic Basement Co. did an excellent job finishing our basement. We now have an awesome, additional 1,100 sq. ft for a playroom, an entertaining space, and relaxing lounge area, and great access to closets, unfinished storage, and a long bench to relax and watch the kids play. They did a great job with the framing, prepping the walls for paint, and finishing with trim. We went with a solid ceiling instead of a drop-ceiling and they really did an amazing job maximizing space and height. They coordinated all permits and inspections, and they finished the whole project in less than 30 days. I am very happy with The Basic Basement Co. and highly recommend them. From the start of the project, we felt comfortable with The Basic Basement Co. The design consultant and project management team were professional, friendly, and did not pressure us. They were very clear in the services that would be provided, helped us make good decisions, and were genuinely interested in making sure we got a great space. We passed inspections in less than 30 days after starting the project. We did our own painting and carpeting. I wish we had done that with them – it would have been easier. I know I speak for my wife when I say that this has been a really positive experience with you and your team… the professionalism and reliability has really made us believers in what you do, and you went above and beyond at every turn. Please relay to the rest of the crew! I want you to know we have spent plenty of time in the basement during the past few days and it looks awesome! The crews did an excellent job, and they miracle workers with how fast they worked! The installation crew was great and had creative ideas on how to utilize space, and they did a wonderful clean-up job too. Please give them our kudos. This is the second time we used The Basic Basement Co., and I can’t rave enough about their services. The design consultant arrived on time for the estimate, talked with us about options. We originally planned to extend an existing window for an egress window – the design consultant walked around our house and suggested a different location which would allow for a larger window and more light into the basement. Options were itemized, and we were able to select items that fit our needs and budget. Let me start by saying I was dreading finishing my basement – I actually considered moving to avoid it – but, we desperately needed more space. I had met with numerous contractors before contacting The Basic Basement Co. Their design consultant came to our home, went over our options, and helped me decide the best use for our space. I was so happy to have someone who could envision what our basement could look like, because I’m not great at it. We decided that we wanted to use The Basic Basement Co. right away. The entire process went smoothly. Every person – from the electrician to the carpenter – was on time, respectful of our space, and left the basement clean every day. The project manager was amazing – she answered every question I had and was so responsive – she really made the entire process seamless and so easy for me. We had a great experience with The Basic Basement Co. My wife and I were clueless about how to design the basement and estimate costs. Two other independent contractors did little to help us think through the best design for our space, and quoted us costs of $25,000 – $30,000! We found The Basic Basement Co. through a Val-Pak coupon we received in the mail. Their design consultant gave us great insights into how we should consider creating storage space as well as living space and created a layout that we really liked. They have estimating down to a science…their quoted price includes a set number of lights, doors, and outlets; when we wanted to add a French door and a spindled railing for the stairs, they were very flexible, and able to show us how we could adjust the cost by adding or subtracting certain aspects to keep the price within our range, but have the things we also wanted most. And their quoted price was far below anyone else! Their work crews were punctual and attentive. The quality of their work was excellent, and they very flexible when we decided to suspend the basement project for several weeks as we added in a supplemental air conditioning system that we didn’t originally plan for. We were extremely happy with the experience, and hope to use them again for our powder room and kitchen! We had a fantastic experience with The Basic Basement Co. As soon as we contacted the company, I was called and an appointment was made. The design consultant came out at a convenient time and measured and explained everything to me. He sent a quote right away and provided a layout. The project managers kept us informed and took care of all the details – my permit was approved by the township in a few weeks! They said the permit forms, completed by The Basic Basement Co., were done properly and thoroughly. All of the trades – drywaller/carpenter/electrician – were professional and FAST! When it was time for the final inspection, the inspector said that this company is top notch and that their work is excellent. Thank you – I would definitely recommend this company. 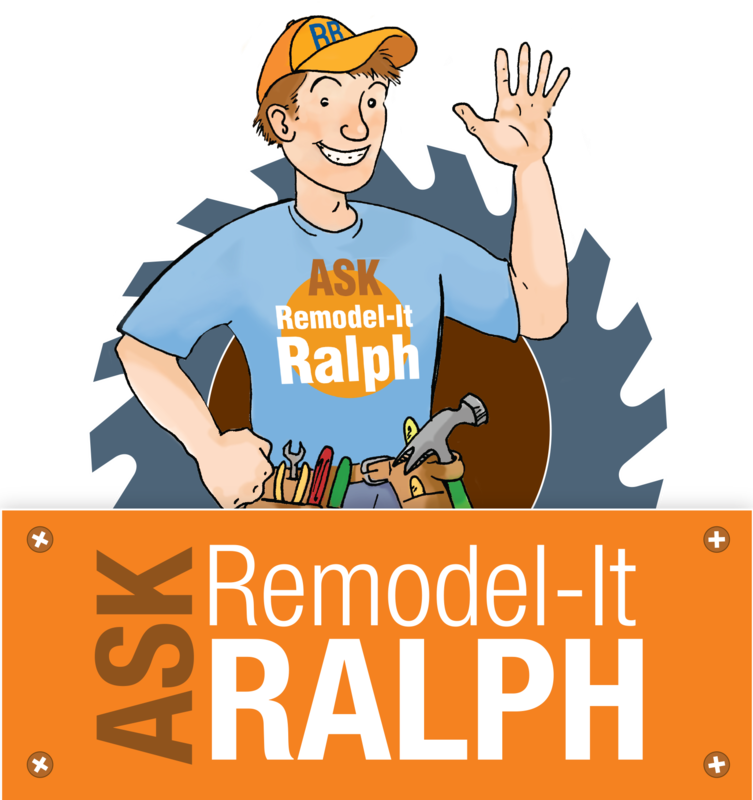 This was my first home remodeling experience, and I was somewhat terrified based on stories from friends. I was pleasantly surprised by my experience with The Basic Bathroom Co. – the final product was beautiful, there were no unexpected costs, workers were timely and courteous, and the overall budget was at least a few thousand dollars less than any other offer. Having a project manager was a huge help. I thought I could pull this together myself, but once the project was started, I quickly realized I had no clue what I was doing and the project manager was a huge help. My project manager was super-responsive and happy to answer all of my questions without ever getting irritated. Everyone I spoke with at The Basic Bathroom Co. was really pleasant. If you are not a “pro” when it comes to home remodeling, I highly suggest using The Basic Bathroom Co. as they really hold your hand and walk you through everything, and don’t take advantage of your budget. We were told it would take about one month and they were dead on. The project started on July 20th and concluded on August 22nd. All of the materials were delivered exactly when I was told they would be, and all of the workers showed up on time when expected. The workers were polite, neat, and very caring about the quality of their work. I was asked for input along the way, and was accommodated when choices needed to be made, some clearly requiring more effort than others, and that never became an issue. I was extremely impressed to see my entire basement framed in one day. Three installers worked non-stop, and did not leave until finished and the area was clean. Days later, the electrician arrived and spent one day roughing the electric. We passed inspections a few days later. Then the sheet rockers came, and by the time I came home from work, the entire basement was done. Two days later, spacklers arrived and spent the day spackling, which just needed a light sanding a few days later. The electrician spent a day connecting everything, and a few days later carpenters came to install molding and doors. On the last day, the project manager completed one or two small items. The project manager was involved at various stages throughout the process, and helped to make it a good experience. It was clear that this company wanted to please their customers and each of the workers demonstrated this. The office team arranged for all inspectors to show up on the same morning, and we passed without any problems. Scheduling throughout the project was discussed, and they were flexible. I honestly had a stress-free experience with The Basic Basement Co. and will highly recommend them. I have already told many of my friends about my experience, and am already enjoying my new living space. The Basic Basement Co. did an awesome job on my basement – and completed the project in only 4 weeks! They were very professional and well versed in their trades. The service was prompt and customer service was great. They are a trustworthy company for getting your basement finished. Their suggestions were very helpful and the price was reasonable. The whole process was easy and seamless – of course we had gotten estimates from others, but many other companies were unreliable (they did not show up for estimates) or overpriced (it almost seemed like they were pulling numbers out of the air). We met with The Basic Basement Co., and felt very comfortable with after the first contact. Our design consultant went over in detail what was included in their basic package and additional options (bathroom, wet bar, etc.). We were just interested in additional living space, so the basic package was fine for us. We did have a sub-panel added (their price was less than hiring our own electrician). So, we signed the contract and scheduled the project. Every appointment was on time, and we got a detailed walk-through after every step was complete. The crews were polite and cleaned up at the end of each day. They even hauled away their own garbage. Another great service was that they scheduled all of the inspections with my town – the inspectors also raved about their work. From the crews, to the salesman, to the office team – it was a great experience. The Basic Basement Co. finished my basement – approximately 1,100 square feet. The job included the creation of three distinct spaces – an office, gym, and media area – and a full bath. I found the quality of work to be very good. I recommend The Basic Basement Co. as a basement finishing company. Todd came over, measured, and provided information. He wasn’t pushy and just gave me the facts. After I contacted him again to let him know I wanted to go forward, he sent me a very clearly written, detailed proposal. He gave me a checklist of everything that would happen and a timeframe for each. Gail was my coordinator for all phases. She was so helpful and friendly! I always knew what to expect from start to finish. The guys that came over to do the work were professional and skilled. They worked quickly and cleaned up after each job. I felt relaxed with each group in my home. I’m so happy with the finished product. I stayed within my budget. I got quotes from other companies that just wanted to push upgrades and design fees on me. All I wanted was a basic finish so my kids could have a place to hang out. I’m so glad I went with these guys. I highly recommend them! We’ve just had a wonderful experience with The Basic Basement Co.! We paid just half the price of all other estimates for more than double re-activity – really!! From Jordan, the salesman – to Gail and Bob, the Project Managers – to the technicians – they were all very professional! And, it took them far less than 2 months to finish our 1,000 sq. ft. “storage area basement”, so they were far ahead of schedule! They were always very clean after each job (framing, electrical, etc.) and very responsive when it came to complying with all of the codes of our very demanding township (here in West Windsor, NJ). We will definitely call them for remodeling our master bathroom, and wish they had a “Basic Patio Co.” to build our new patio. I want to thank all of you for doing such an amazing job and finishing our basement on time. Your crew was amazing and they did quality work. Thank you for all your help! It was a very nice experience working with The Basic Basement Co. and I am looking forward to renovating my kitchen soon with your company! I already gave a referral to my friend. You only know the quality of the company you are dealing with when there are bumps in the road and the experience you go through in getting the issues resolved. In that respect you guys were rock stars! Everyone we interacted with – from the framers to the plumbers to the electricians, and not to mention Rick (who made two impromptu visits) and Curtis – were awesome to deal with. Thoroughly professional. Extremely polite and courteous. Finally, Gail thanks for your many efforts – from pulling in the start date to fit in with our vacation plans and working around our many scheduling issues. We wish you, the whole team, and The Basic Basement Co. lots of success in the future. Jaya and I were recommended by our family friends to The Basic Basement Co., and since we signed the contract with them, it was an amazing experience. It was seamless, smooth, and clean work done by them and everything was as we expected. The team, starting from project manager (Gail) to every other team member – are so kind, and we specially would like to thank Gail for listening to our requests and getting things done on, or before, time. We certainly look forward to working with the entire team again for our future projects and will recommend them to our friends. The Basic Basement Co. just completed my unfinished basement. I couldn’t be happier with the results. The costs were reasonable and the results exceptional. Even though you lose use of your basement during construction, they make it as pain-free as possible. I just left them a key to my house & they did their thing. Everyone from The Basic Basement Co. was highly professional. The design consultant was an expert in schematics & designing the basement. The framing guys were experts in framing. The dry wall guys were experts in dry wall, etc. Our basement has just been finished, and we are thrilled with the final result! Initially, I was skeptical about using The Basic Basement Co., suspecting there would be many hidden costs and unforeseen expenses. I had sought other estimates and they came in much higher than what I was quoted from The Basic Basement Co. I am happy to report we paid exactly the price we were initially quoted and the company was extremely upfront about everything. Every crew member that worked on our project was polite, informative and considerate. Our project manager was wonderful and accommodating on all levels. Every inspector who came out to our home commented on the high quality of work that was done. Needless to say, I highly recommend using The Basic Basement Co. You will not be disappointed! I just wanted to let you know that the electrician was very helpful and professional, and I would definitely recommend his services to family and friends. The Basic Basement Co. was wonderful to work with! They completed the job, with great quality, within the time promised with absolutely no surprises. What’s more – they also worked with us to paint and did a great job. In early October, I began a search for a company to finish my basement. At the recommendation of a friend and after interviewing several companies, I decided on The Basic Basement Co. based in Manalapan, NJ. As it turned out, it was an excellent decision. This company knows how to do a basement, and do it right. Getting permits and approvals from the township can be a challenging task but the project coordinator took care of all the details. The workmen that came to do the framing, dry wall, electrical, carpentry and painting were all excellent professionals and did their job to perfection. They were on time, focused on getting their job done in a top quality manner, and gave me the feeling that they were treating my house as if they were taking care of their own. Top quality professionals – every one of them. The Basic Basement Co. is the type of company you want taking care of your home. We are very happy with the quality of work done by The Basic Basement Co. I selected them on the basis of Angie’s List reviews. The crew always arrived on time. The project completed exactly as planned. Inspection was a breeze. We got a great finished basement within the time and budget we had planned. After 4 months, everything still looks and feels great. We have been very impressed by the quality of service we received from The Basic Basement Co. We engaged with them to finish our basement. We had a tight timeline – we wanted to get it completed before school re-opened. We were nervous about the whole process since there are a lot of parts and we were also required to get a permit. The Basic Basement Co. guided us step-by-step through the process. They set the right expectations and followed the plan to utmost satisfaction. The contractors were punctual and spent long hours to get the work done with causing the least disturbance to us. If we ever need to finish our basement again, this is the company we would go with. We highly recommend The Basic Basement Co. for anybody’s basement job. Please extend my thanks to all members of your team who did the work. Everybody was so professional. The work looks great. I started referring my friends to your company. Thank you for making communication easy. Just wanted to mention that your crew has been very professional so far and we really appreciate the quality of the work. Good work to yourself and your team. Thank you so much for everything. I can honestly recommend your company to anyone who wishes to finish a basement. The work was great. The customer service was exceptional. Having over a decade of experience working for five star hotels, and writing the actual standards to be exercised, I greatly appreciate having dealt with you, and my husband with your teams. All of you have been amazing. I appreciate the flexibility. Not once did you not try to make it work on our terms! With timing so restricted for our super busy family – all I can say is —Wow!! Our experience with The Basic Basement Co. was extremely pleasant and enjoyable. Our estimator gave us a fair quote, and never pressured us to upgrade beyond our means. We decided on our own to add a full bath based on the reasonable rate that was quoted. All of the crews – the framers, electricians, plumbers, drywallers, and carpenters – were highly skilled, very friendly, and expert craftsman. I did not have to arrange any sub-contracting on my own as this was all provided as part of the service package. The Basic Basement Co. arranged for all of the mid-way and final inspections to make sure everything was up to code and given the final seal of approval. The finished product was well worth the wait and beyond our best expectations. We now have a lovely new livable space with plenty of storage going forward. I would recommend this company without hesitation to anyone looking for a basement renovation project. Thank you, and I want to express my appreciation of the excellent job done by your crew, making a beautiful basement for my home. All of the men were courteous, quiet, and efficient as they went about their work. Please make sure these individuals are recognized. I want them to know that the quality of the work provided is excellent and it is greatly appreciated. I wanted to let you know The Basic Basement Co. did an excellent job on my basement. The whole team was professional, friendly, and knowledgeable. The job went as predicted in terms of the timeline and quality of the finished project, which is a huge win for us. Thanks for everything and if you need a reference don’t hesitate to contact me. The Basic Basement Co. is what anyone would dream of having – excellent, professional teams and great management to provide care and consideration, and great workmanship and materials as per industry code. This was a stress-free experience with no hidden costs or delays, and best of all, they have the most pleasant, caring, and professional office manager. She will respond to all your needs and follow up with your town for the permits. With her knowledge and long experience in all phases of construction, she was a great help. We are very pleased with The Basic Basement Co., and thank you all for making our basement more than what we expected. The Basic Basement Co. did a wonderful job at every step of the way for our basement. All the installers were very professional, punctual, courteous, and did an excellent job. They knew what was needed to pass the inspections and ensured that they did a top-notch job. All of the work was scheduled, and inspections completed, in a timely manner. We are very happy with our basement and wouldn’t hesitate to recommend them. It was a pleasure doing business with a company of highly skilled craftsman within their trades. I must say after all is done, Gail performed a great job quarterbacking the team to efficiency and success. Dan did a great job setting expectations up front with the process. We loved having them redo our basement! They took an old dingy space and added a complete bathroom with shower, egress window and finished basement. Gail was awesome with communication and the project manager was wonderful also. We would recommend them to anyone. I want to thank The Basic Basement Co. and their crews for great job on finishing my basement. They are very professional and know their job very well. They always showed up on time and cleaned everything after finishing their tasks. They are very helpful and answered all our questions. The crews are very hard working and great on their work. They finished my basement in a very timely manner and we got all town approvals without any issue. Gail is very helpful and she is the best. The final basement came exceptionally good. I will recommend to all my friends if they are looking for any remodeling in their house. Chris and I both want to express what a pleasure it was to deal with you. From start to finish, everyone that came to our house was very skilled, efficient and nice. And, you were so flexible in getting someone to the house when we needed even small, minor tweaks. You did a beautiful job transforming our drab, terrible basement into a fabulous living space! We can’t wait to hang out down there! Thank you! We would like to thank you and The Basic Basement Co. crews for such a wonderful job on finishing our basement. The crews were always on time and finished each task as planned. Most importantly, you are flexible and able to accommodate our schedule as both of us are working full time. We also enjoyed working with Rick. We can’t wait to share with our friends. Thanks for a great experience. It was smooth from start to finish. Gail was great and always got back to us right away if there was a question. We would definitely recommend your company. Everything went great – thanks so much for everything. We are very happy with the new basement, and all-in-all, it was a great and pleasant experience working with you and your team! Best contractor ever!! I highly recommend The Basic Basement Co. From the free initial consult through every phase of the project, the craftsmanship, competence, and professionalism of the entire staff and crew far exceeded my expectations. They did everything I asked… and then some. Gail handled scheduling seamlessly, Rick provided expert consult and oversight, and Dan clearly quoted prices and provided excellent customer service. Thank you, The Basic Basement Co.!! We made the right decision to get the services of The Basic Basement Co. From start to finish, the process was a breeze. Dominick delivered as promised – he was very accommodating with our concerns and requests. Gail is an exceptional project manager – she was with us every step of the way, and responded to every question. The workers were very respectful, competent, and skilled, and cleaned up at the end of the day. Thank you for the amazing basement. We now have an additional space to relax. We highly recommend your company. We love the new basement. It has been such a breeze working with you. I cannot imagine the stress of running after different people to get each part of this job done. Everyone was prompt, courteous and your coordination made life so much easier. I have already recommended The Basic Basement Co. to my neighbors. Our experience with The Basic Basement Co. was excellent. With having two growing boys in our home, it was paramount that we finish our basement. We interviewed several contractors who offered to give us “a basic basement” at “not so basic” prices. One day while on my way to work, I was stopped at a traffic light next to a truck that advertised an 800 square foot basement for $9,999. Being very skeptical (because of our interviews of previous contractors) we called The Basic Basement Co. and set up an interview. The salesperson arrived on time (big plus) and went over in detail The Basic Basement Co.’s philosophy and what we could expect. We signed the contract, obtained the necessary township permits (which The Basic Basement Co. assisted us in getting) and we were on our way. Gail kept us appraised at every step of the process (which crew was coming, inspectors, etc.) and most importantly, if we weren’t happy with something, we voiced our concern and The Basic Basement Co. immediately catered to our wishes. We would highly recommend hiring The Basic Basement Co. The Basic Basement Co. was highly recommended by several neighbors, and with our basement now completed, we too would absolutely recommend them. The entire project was well coordinated and flawless. Just a note to thank you for the wonderful outcome of our new basement. We are very happy and feel that it has added a new attraction in our home. The workmanship is top-of-the-line. We also appreciated the responsiveness of all the crews that arrived and completed their work, always on time and as promised. A special thanks to Gail who coordinated the project from start to finish and was a pleasure to deal with. If you want your basement finished in a timely fashion with quality workmanship at a very reasonable price, The Basic Basement Co. should be your contractor. With the carpet installation, we could officially call our basement – oops, our new lower level – complete! Our sincere thanks to you and your team. Please pass on our “Thank you” message to the framing, electrical, plumbing, and finishing teams! The team has done a fabulous job and we are really impressed with the final outcome. Wish you a very happy new year 2014. Thank you for all of your assistance and attention to detail throughout the project. You certainly made it easier than I had imagined it would be. I enjoyed the interaction and the level of responsiveness by you and The Basic Basement Co. team. My wife and I are very pleased with the work. I’d like to say what a great experience this has been. You and the rest of The Basic Basement Co. team that have been a part of this project have been professional and I will be referring you to my friends and family. Just wanted to say thanks for everything! We are very happy with, and proud of our new basement. We really appreciate all your assistance to help us through the process. Glad you were there to keep us informed and manage our expectations! All the best to you and the crew for a wonderful holiday season! We are thrilled with our beautiful basement! All workers showed up at the appointed time and did their jobs beautifully. Gail orchestrated the entire process making sure the work was completed in a timely manner. I highly recommend The Basic Basement Co. to anyone planning to finish their basement. Getting your basement done is very exciting, but at the same time it was a headache when I was trying to finalize a contractor. I was little skeptical to choose The Basic Basement Co. because I want it to be affordable as well as high quality and for some reason thought they only do a basic job. My expectations were exceeded and I was extremely satisfied with their quality, professionalism, and project management. I don’t want to write a story but I will say the team was truly professional and fantastic. I would highly recommend them if you want your basement done hassle free. I can tell you we’re really happy with the finished product. We’re looking forward to using this new space soon and now it’s just a matter of getting the furniture. It’s quite a transformation and the attached pictures can speak to it better than I can. I want to thank you for how well you coordinated the job because you adjusted your team to our schedules always asap. Please also extend my thanks to all the crew members who came over and did their part. We thought everything was smooth and worked out very well. Professional, timely, and great quality. You guys did a great job and were beyond professional. If I ever finish another basement I will call you first. I will definitely refer you to friends. This is Nels M. from Netcong, NJ. I completed the Angie’s List review. I gave you a big shout out as you really earned it. I hope you enjoy your job as it shows. Thank you for all the attention and efforts. My wife and I have been busy painting. The floor is down and it is really a great space. I will send pictures once the painting is complete. I would like to thank you and your crew for doing an excellent job on completing our basement. Your guys were flexible to adhere to my schedule and your crew did an excellent job. Special thanks to Dan for his visits, plan and offering a good deal. Special thanks to your project manager Rick for managing all the tasks on a timely manner with good quality work. Special thanks to you and Cathy for coordinating and scheduling the tasks to fit my schedule. Thanks again to your crew. We could not be more impressed with The Basic Basement Co. based on our experience. Every member of the company we talked to or that came to our house was professional, on time and did excellent work. And, they did everything really quickly and the quality is fantastic!!! Our basement turned out better than we expected and we couldn’t be happier! I couldn’t be happier with the result, crews, and project management. Your business model and execution are excellent. There is no question that I would not only recommend The Basic Basement Co., but tell friends that they would be wasting time and money going anywhere else. I just wanted to let you know how thankful I am of your team. The framing team set up the foundation for a wonderful basement. They demonstrated a great attitude and disposition as well as skill in their job. All of these traits were reflected on a daily basis. Thank you, The Basic Basement Co., for sending the framing crew with their knowledge and skills. We want to thank The Basic Basement Co. and their crew for the excellent job done in our basement. Your crew was excellent. They worked with dedication, professionalism and most important – honesty. Also, they were willing to go the extra mile in order to provide us with satisfaction and guarantee a nice job. Your office staff, Gail and Kathy, were always there when needed and addressed all issues and concerns. There is no doubt that we are going to spend a good amount of time in our new living space. Thank you again – it was a real pleasure to have you as our contractors for finishing our basement! As you thought, and us as well, we had ZERO issues with the inspections today. Both fire and electrical passed inspection and building did as well. Both inspectors knew the job was done by professionals. We appreciated working with you and your staff, which makes up “The Basic Basement Co./Totally Basements”. We are extremely happy with ALL aspects of The Basic Basement Co.
Bryan was here to address the punch list and has completed the work. You have been such a pleasure to work with, ensuring that the process was smooth and issues addressed in a timely manner. Thank you for changing out the door hardware when you didn’t have to since you were correct in that the gold was listed in the contract – we truly appreciated it. Again, warm regards to you and The Basic Basement Co.’s team for a job well done. I am really happy with the quality of the work and professionalism your team has shown. Overall, I am very happy that I chose The Basic Basement Co. to finish my basement. I cannot stop raving about the job you guys did. We use it every day and it has become a room that we cannot believe we lived without. You guys are really super and I know that my neighbors will be just as pleased. I was really impressed by the quality. I also appreciated the time you took to walk me through the project and answer questions, as well as to share some thoughts on how to achieve the best look with the framing. A great team overall. All of the crew members worked very nicely, on time and in a real professional way. We are very happy with the work and we really appreciate everything. I just wanted to say thanks for everything throughout our basement finishing project. You were GREAT to work with. 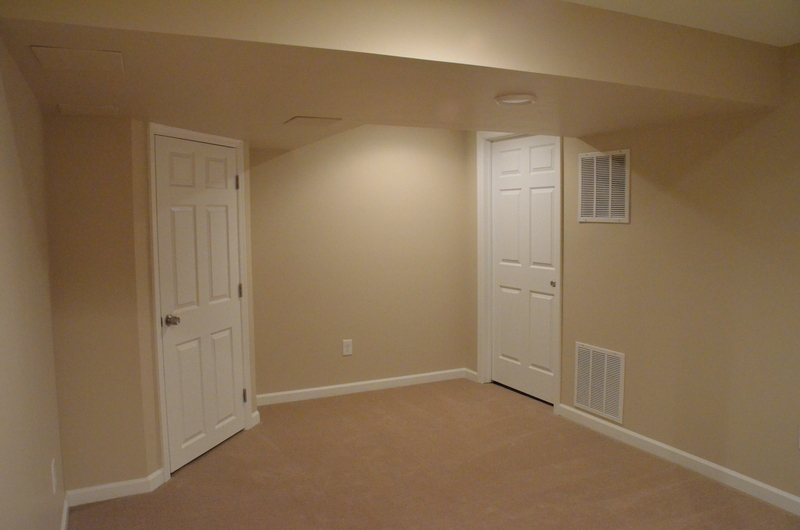 The entire process was a pleasant experience and all of your guys were great to deal with – the basement looks awesome. Thanks again for everything, and we won’t hesitate to recommend you to our friends, family, and neighbors. Looks like the framers are complete with a “job well done”. My wife and I feel that they did an excellent job and the crew was great! It was a pleasure working with you and your team. My husband and I are thrilled with the results, and will most certainly recommend you to our friends. It was good working with your company. The basement looks great. I looked at the basement when I came in from work. WOW!!!!! WHAT A FANTASTIC JOB! Better than I imagined, and well worth the money we spent. And, we will certainly enjoy our/my basement – aka man cave. Inspections are complete and we passed. The building inspector was extremely impressed with the work done so far and commented that the framers did an excellent job. So far, we have been thoroughly impressed with The Basic Basement Co.’s production and timeliness. Our township passed us for the framing inspection today. The inspector was impressed with the work you guys did! We are ready for drywall-stage when you are! We can’t thank you enough for your expertise and great work in our basement. Your pricing was fair and uncomplicated and we have told all of our neighbors, friends, and family about your wonderful company. Many customers usually don’t write letters of praise, but are more likely to write a letter of complaint. We felt we had to let your company know that we’re very pleased with your work. Your company is astounding with the quality of workmanship they provide, and your office staff was courteous no matter how many times we called. We can’t thank you enough, and I hope you are aware of our complete trust and sincerity in respecting your work and continuous care of us even after the job was done. I want to say thank you for making the process easy – including scheduling and processing paperwork. I have contacted many contractors and this has been the easiest by a mile! We passed the final inspection today. Thanks for all your help and coordination. Your crew was excellent. They were on-time, honest, and dedicated workers and I really enjoyed working with them. I would definitely recommend you too many of my friends. Thanks again and keep up the good work. Thanks for all of your help and guidance – it was a pleasure working with you. We are very pleased with the quality of the work. Thank you for everything! We are so happy with our basement. The work was done timely and in a very professional manner! We couldn’t be happier. Not only was the work done extremely well but the price was affordable for us and the cost was so worth the added living space we now have in our home. We would recommend this company to anyone interested in finishing their basement! We will send you pictures via email to follow. Thank you everyone and we wish you all the very best! Bryan and I highly recommend The Basic Basement Co. for your basement finishing needs. They provide excellent work at a great price, and were in touch throughout the entire construction process to ensure all our needs were met. The project and construction teams were very professional and flexible with our schedules. The working crew was so clean and made every effort to be undisruptive to the rest of the house. The Basic Basement Co. made it extremely easy from start to finish to get the project done. We are extremely satisfied and would recommend them to our family and friends. We even recommended them to our township inspector, who was highly impressed with the workmanship. The finished basement is even better than expected—our family is enjoying our newly added living space. Thank you! Again, we had a wonderful experience with the men you sent to do the carpentry and electrical work. I was telling Justin, (electrician) what an unbelievably positive experience this has been with you guys. You hear such nightmares that friends have endured and are just waiting for the “here we go” moment, but I know at this point we are not going to have any with your company. It has been nothing but considerate, prompt, hard-working, honest men treating our home, our children and our elderly dog with nothing but the greatest care and you working behind the scenes to expertly keep progress on track. Have a great weekend! I would like to take a moment & express how amazing The Basic Basement Co. has been. As a business owner myself, I expect everything to be as perfect as possible. The Basic Basement Co. not only offered the best price but was professional, punctual, & clean. Gail & Kathy in the office were always so kind & courteous. When they gave you a date or time with material and/or workers being there; it was exact. Every crew that came in cleaned up after themselves every day until the project was complete. No coffee cups or water bottles laying around! Swept or vacuumed every day. Dominick, one of the owners was always there if we needed anything. My wife likes things a certain way & Dominick catered to her every need. Even when speaking to the town & inspectors about the permits & overall process had nothing but good things to say about The Basic Basement Co.! This speaks volumes about an organization when the town endorses them. I will recommend all my friends, family, & even my customer base to The Basic Basement Co.! Thanks so much, my wife & I love our new living space. Keep up the great work! Cyprian’s carpentry work in my basement project was exemplary and his execution was flawless. Thank you for you outstanding and professional job. It’s exactly what I wanted. Rick was here today for the final cleanup. We are very satisfied with the quality of the finished product. We especially want to thank you and Rick. We had only a few minor issues and everything was addressed promptly, courteously, and to our satisfaction. Everyone was very responsive. Just a note to say how much we are enjoying the new basement. One side of the basement has a TV and an IKEA coach. That is where my son plays video games and where I exercise. The other side is the “upscale” area with a leather coach, reading chair, good speakers and a custom wall unit. That is where I read while listening to Sinatra, etc. And in a small section we have a card table where my wife and her friends play. Thanks again for the great work. It is truly a place of solitude that our whole family enjoys. Everything was done professionally, and thank you specifically for always being available and responsive. I wish all home services were this good. All 3 inspectors came and we passed our inspections. Thanks for sending Jim in. He is a highly skilled, hardworking guy who is good at fixing things quickly and perfectly. He also helped us sweep away all the debris. Please extend our appreciation to him and the teams that helped us. The basement looks beautiful now 🙂 You and your co-workers did a wonderful job! I really appreciate your professionalism, dedication and quality work. All of your workers have been extremely professional and I am very satisfied with your work. I would definitely recommend The Basic Basement Co. to other people. It was a pleasure doing business with The Basic Basement Co. All crews were very respectful, on time and kept us completely involved in the construction process throughout the entire project. I appreciate your coordination and constant communication as well to ensure the project ran properly. We will highly recommend the company to our friends. We want to personally thank you for your dedication to getting our basement done on time. We were very impressed with you, Rick, Mike and The Basic Basement Co.’s contractors, although to be honest we were reluctant at first. You certainly won us over with the quality and dedication to detail. Thank you and your team for doing a wonderful job even in this difficult time (Hurricane Sandy)! We appreciate the hard work you put into the project! You have been exceptional in this process and made it a very enjoyable experience. I will make sure to leave some good words about The Basic Basement Co. on Angie’s List. Thank you so much for all of your help through the process of finishing our basement. The finished product looks amazing (when Dominick was here he took a few pictures so you can see what we did) and I know that my family will spend many happy times there. You played a large role in helping to make this process so seamless. Your patience with us did not go unnoticed and was very much appreciated! I wish you and your family a very happy holiday and happy healthy new year!! I wanted to thank you so much for coordinating the design and construction of our basement. We are incredibly satisfied with the finished result. You were professional throughout the process, and you answered every question I had thoroughly and timely. Whenever there was an issue you took care of it right away. If only every contractor worked this way!!! Everything looks great. We have started painting and just replaced the rear steps; the new oak stairway for the main steps is on order, and it looks like we will be completed, at least the main area, by the holidays! All of your guys did a great job. As all big jobs go, there are a few very minor glitches, mostly cleaning up the bricks and floor from globs of plaster, but all being said, for the price we paid you guys should get an A+. Please feel free to use us as a reference; we have already recommended you guys to a few family members. Our inspector asked if we would recommend your company and we said yes! He said that he never has problems with your inspections. I’ve already recommended you to friends down the street who are thinking about it. We are impressed by the team. They worked so efficiently and nicely…. We were very happy with the work and the response time you provided was second to none! We would be more than happy to recommend you guys to anyone. It was a pleasure working with you throughout. Thank you so much for such a great job! Thank you very much for all your help. It is such a pleasure working with you and The Basic Basement Co. Thanks for everything. You have been a gem to deal with. Honest and thorough with everything you have touched. I wanted to let you know that they finished the framing. They did an amazing job. We couldn’t be happier! Really great crew. Electricians did a great job. You guys have been great. Heather and I would like to thank you and The Basic Basement Co.’s team for a job well done. You did exactly what you said you would do and more. You knocked the job out with quality workmanship and more importantly, within an AWESOME timeframe. We love our new space, as do our friends and children. We’ve referred our friends and family to The Basic Basement Co. already. Thanks for all your diligence and work. Likewise, it was a real pleasure working with The Basic Basement Co. I loved the smooth way and coordination your whole crew worked. I am very pleased with everybody; The Basic Basement Co. has the best of the best. The Basic Basement Co. did not fail my expectations. Todd is a great guy and a very professional salesperson (he opened the door to The Basic Basement Co.), Kathy is very helpful, very professional and I really like her (always pleasant and sweet). Gail, you are a “SUPER START”, you are on top of everything: You know your business and know exactly how to please a customer. The Basic Basement Co.’s crew worked wonderful under your direction. Thanks Gail and The Basic Basement Co. family. We are very pleased and quite impressed with the overall quality and professionalism that all of your employees exhibited throughout this process. I am shocked with how smooth and timely the basement finishing process went. Thank you for all your help, having you in the office to contact made it that much easier too. Thanks! Everything is great so far. I wanted to let you know how great everything has been so far dealing with you guys. I am so happy I chose you guys to do the basement. Jackie and I have been really impressed so far by the work of your crews and your communication with us. Thank you to everyone for the time and effort. Just so you know, we have been extremely pleased with you whole staff. Everyone has been very nice and it has been the cleanest construction site I have ever seen. Just wanted to let you know what a wonderful job everyone did in bringing our basement to life. All the different teams worked very hard and did an exceptional job. They stayed on schedule and everything came into place very nicely. I appreciate working with you, Gail, as well. Your communication was very responsive and you made sure to work with my schedule to keep things moving along. We are very excited to start using our new finished basement, so I wanted to thank you and your team for a job well done! You and your crew did a very nice job. Thank you so much for all your help in this. Much appreciated. Thank you – very happy with the project. Appreciate your help. Just wanted to drop you both a quick note of thanks for everything you have done to get our basement finished. It’s done, passed inspection as you know, and looks great! After the wall to wall cabinetry is done, our boxes are unpacked and art hung, we will be sure to invite you over to see everything! Many thanks for coordinating all subcontractor activities, township inspections, and material supplies in a timely manner. We appreciate all your diligent and hard work in completing this project in a timely manner. I must say your company has been fantastic and very cooperative throughout this process. I knew when Dan walked a 1/2 mile in the snow storm, that there was sincere dedication to getting the job done right. Thank You. I just want to say many thanks to you and your company for your professionalism and for completing the work per schedule and to our satisfaction. Thank you, you’ve done a great job! We never had such an experience with any contractor. Cathy and I would like to thank you and your entire team for the excellent work in our basement. When Cathy and I discussed a project like this, we had a vision of what the final product would look like and you hope it comes close to your expectations. As we sat with our children and grandchildren over the Christmas holiday, we both agree that our finished basement surpassed our expectations. Thank you. Starting with Dan and ending with the painting, your staff was very professional. Dan represents your company well and followed up on each phone call and question we had along the way. Cathy and I look forward to years of enjoyment in our new expanded living area (we now have a hard time calling it a basement). Thanks again for making this process so painless and for making our basement look amazing.